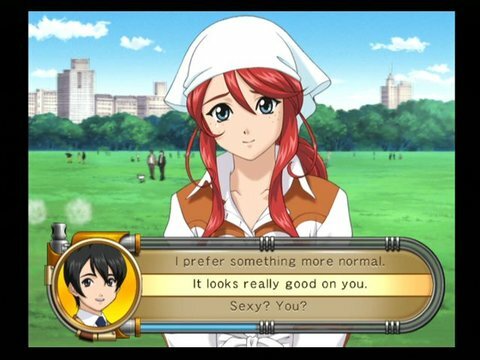 I am honestly not too familiar with this week’s game, Sakura Wars: So Long My Love. Besides liking the title, I know very little of the franchise this game is from. I know it is popular in Japan because, despite this being the only Western release of the franchise, it had an anime series, manga, and additional games that were released in Japan. I do remember seeing previews for the English version of one of the anime series that was released by A.D.Visions, but that was it. After doing some research, it seems like an interesting franchise that combines tactical RPG gameplay with dating sim elements. Even if the anime and games are filled with what we would call anime tropes, I do like some of the characters and the robot designs. The series is apparently so popular that some of the characters appeared in the crossover RPG Project X Zone for the 3DS. 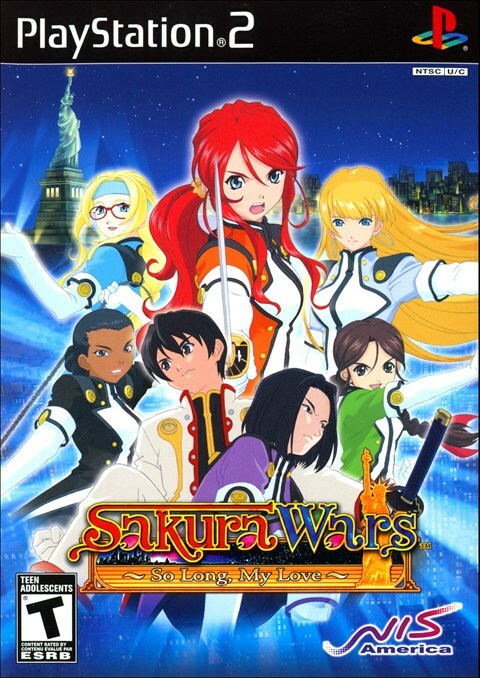 This game though, Sakura Wars: So Long My Love will be my first step into this popular franchise. Let’s see what happens! The story revolves around Shinjiro Taiga, voiced by Johnny Yong Bosch. He is sent to New York City in the 1920s by his uncle to help lead the New York Combat Revue. When he gets there, he meets a pretty quirky cast of characters. The New York Combat Revue includes Gemini Sunrise, voiced by Laura Bailey, Cherion Archer, voiced by Erin Fitzgerald, Diana Caprice, voiced by Karen Strassman, Rosarita Aries, voiced by Melissa Fahn, and Subaru Kujo, voiced by Kate Higgins. They are all led by Ratchet Altair, voiced by Julie Ann Taylor, and Michael Sunnyside, voiced by Dave Wittenberg. While disguised as stage performers for a place called Little Lip Theater, the New York Combat Revue fights the evils of the night and giant robots when they appear. Will Shinjiro Taiga become a good leader? Will he gain the trust of his fellow allies in battle? You will just have to play to find out. Anyway, the story has a lot of charm to it, even if it is basically an interactive anime. I like some of the characters and even some of the villains. I guess the only problem I have with the story is that they make Shinjiro Taiga sort of a male version of a Mary Sue kind of character, but other than that, it’s a solid story with only a few minor issues. 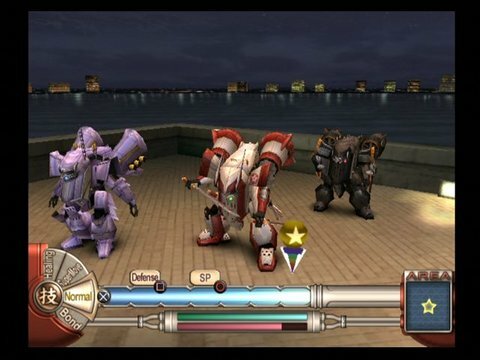 Sakura Wars: So Long My Love is pretty unique for an RPG. It has a mix of tactical RPG mechanics and a dating simulator. Most of the time, you will be looking at still shots of rooms and areas, and talking to different teammates. You need to make sure your bonds with them are strong, since your relationship with them will affect how they do in combat. The city the game takes place in is very small, and only has a few areas to explore, so if you want to find side quests or characters to talk to, you have to find them yourself. The combat itself is rather interesting. 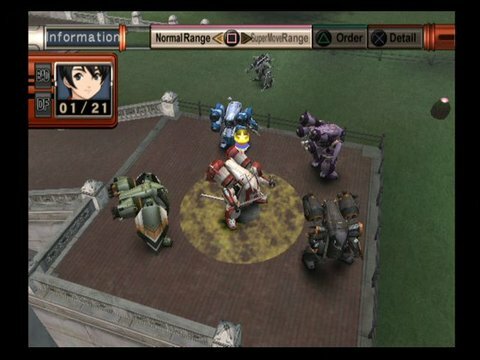 It is basically what would later be used in SEGA’s other popular RPG, Valkyria Chronicles. By the end of the game’s eight chapters, you will be able to control six characters who each individually pilot a mech. The gameplay in combat is basically a turn-based tactics game. Each character you control has a health bar, stamina bar, and what is essentially a magic bar. You will move your character around and fight enemies, and then take on a huge boss. Any action that you do whether it is moving, fighting, healing, pulling off joint attacks, or a hyper-move, will drain that stamina bar. If you have a good bond with the female characters, sometimes random things will happen, like one ally will help you defend against an attack or make a joint attack even stronger. There is a good amount of strategy and difficulty, since you want to keep your bonds strong so they do well in battle. The game isn’t really long at about 25 or so hours. There are multiple endings, so there is replay value, but do you really want to go through the game more than once? Well, I will give my thoughts about that in a second. Graphically, it isn’t bad looking, but it could have been better for a game released in 2007 for the PlayStation 2 and Wii. I mean, this game was announced in 2002, and to be honest, it looks like a game released in 2002. 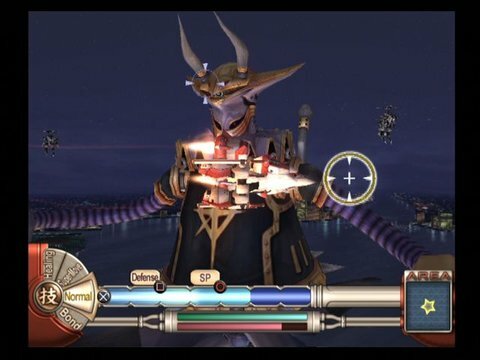 Then again, some of the robot designs are cool, and the anime cutscenes look good. Some of the still frames could be better looking also instead of looking so blurry. The music isn’t bad; I like some of the tunes that play throughout the game, and grew fond of the opening theme. The voice cast is also pretty decent. You have a lot of famous anime voice actors like Johnny Yong Bosch, Laura Bailey who is appearing everywhere I look nowadays (maybe it’s because I bashed Final Fantasy XIII and its sequel so much), and some other pretty well known voice actresses. A lot of them have also appeared in famous RPGs like Enteral Sonata and animes like Bleach. The music was composed by Kohei Tanaka who has done works on anime, video games, movies, and the Japanese Tokusatsu series. It’s a decent overall presentation package. I am going to be blunt; there are a few things wrong with this game. I know I haven’t been subtle about it. The game has a bit of an issue, balancing the “dating simulator” elements with the tactical RPG gameplay. You don’t really get into the tactical RPG gameplay until the end of each chapter. This means for about two out of the three hours, each chapter has you looking at still frames of areas you can go to with one or more characters that you talk to and hopefully don’t piss off. It doesn’t help that the still frames look fuzzy, and the overall city you travel through is really lifeless. I guess for a game that came out in 2007 for the PlayStation 2 (in its last years of being the main console) and for the Wii, you would think they would know how to make a bunch of moving people on screen. If Yakuza 1 and 2 can have a bunch of people moving on screen, then this game should do it as well. I also didn’t find the need to play more than one chapter at a time due to how much emphasis is on the story and not the gameplay. I might like focus on characters and story, but you have to balance it out with gameplay or else some gamers might find games like this boring. I had a hard time summarizing this game. I like a lot of things that it does, but I also hate a lot of the design choices used in this game that brought down the experience. I would say check it out because it is the only game in the Sakura Wars franchise to actually come over here in the states, but you wouldn’t really miss much if you didn’t rent it or buy it. For the most part, check it out if you like RPGs with dating sim elements like Thousand Arms for the PlayStation 1, but if you prefer more meat to the overall game with story and gameplay being more balanced, skip it. I feel badly for the score I am giving it because there is an audience for this game series, and like I said, I do like a lot of things that this game does. If they were to ever make a sequel, they would have to do something to bring it to the RPG market. No still frames, no low level graphics, more RPG gameplay, and more everything. I do hope we see another game in the series because it is a fun series and one worth checking out if you have the time.